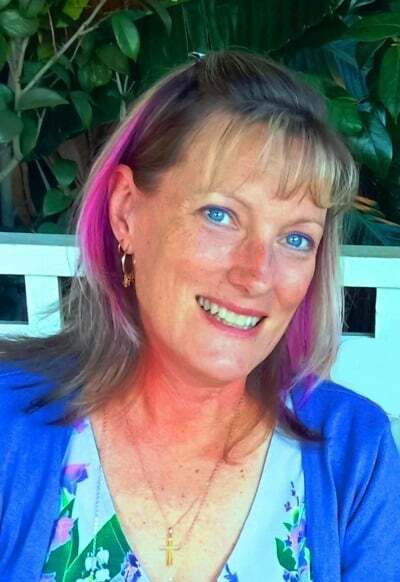 Hi, I’m Leanne – a born and bred Aussie living in the southwest of Western Australia. I’m in my mid-fifties and I’ve been married for 36 years. We have two adult children who are both married and live in the city and two lovely grandgirls. If you’re interested in meeting my family we’re HERE. I began blogging 4 years ago – I’m not sure what got me started – it just came upon me one day and I launched Cresting the Hill with no idea of what I was doing. I’ve learnt SO much over time – HTML, social media, GDPR compliance, converting to https, using images that are copyright free, figuring out formatting and presentation, running a Midlife link party, and so much more. On top of all the background stuff, I happily write about the joys of Midlife twice a week. I’m a great believer in choosing a Word of the Year and this year my word is “More” because I want to improve in so many areas. I want to live larger, to find as many joyful moments as possible, to be kind, to stay healthy, to be grateful, to be a friend and an encourager, and to flourish in all that I take on. I want to become the best version of myself – there’s so much still to develop. I’d also like to continue to improve my blogging. I keep thinking that I’ll run out of things to say, but there is always more inspiration. I want to deepen my online friendships and I’m always looking for ways to make my blog look better, to write about topics that others enjoy reading, and to be a cheerleader for other Midlife women. We also managed to produce two very smart, well balanced, polar opposite children. 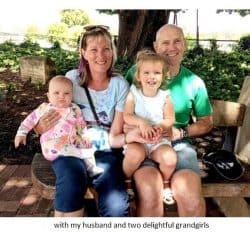 Our son is 32 and works as a Mechatronic Engineer – he’s married to a wonderful young woman and they’ve given us two delightful granddaughters who are the light of our lives. Our daughter is 29 and married to a lovely man. She’s the outgoing member of the family and teaches High School English – she loves it so much that she has no plans on stopping to produce any grandbabies for me at this stage – but who knows what the future will hold?? I work 2 days a week as a receptionist for a surgeon. That leaves me with 5 days of spare time and I have no trouble filling them! There’s always a blog post to write or format, I love to read, I do jigsaws and adult coloring-in, I’m a bit of a Pinterest nut and I also love Facebook. Socially, I’m out having coffee with a friend or two at least once a week, I hang out with my lovely husband – going to the movies, or for a stroll, or just chilling out chatting. I also volunteer at our local primary school as a mentor to a young girl who has a complex family background. I go to Tai Chi on Fridays and I walk every day to get my 30 mins of exercise ticked off the to-do list. This was such a great question because I had no idea there’d be frustrations with blogging when I started – I had rose tinted glasses firmly in place (and complete ignorance about the process of getting your blog out into the world.) It’s certainly not a case of “write it and they will come”! I think any 50+ year old will tell you that learning the skills to create a great blog is a challenge. If you want your blog to look good and be user-friendly, there is a steep learning curve to climb. I’ve been known to high five myself and do a victory dance when I get some background piece of HTML to work for me! Other frustrations are to do with the need to push myself onto social media to get my blog seen. I use my blog’s FB page and Pinterest, and for a few years I used StumbleUpon and loved the views that came from it – then they decided to shut down – SO frustrating! I don’t use Twitter or Instagram because I spend way too much time online and don’t want to be stretched too thinly. Also, I hate that it’s so hard to get posts read by others – and SEO confuses the heck out of me! I’ve never met anyone famous through my blog, but I’ve “met” so many fabulous women online and many have become my friends. It’s hard to wrap my head around the fact that I have so much in common with women who are in the US, Canada, the UK, Russia (a fellow Aussie! ), and all over Australia. Last year I found out that one of those Aussie bloggers lives half an hour away from me and we’ve met up for coffee a couple of times – it feels like we’ve known each other for years. 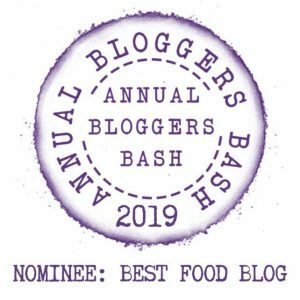 I’m also excited to be flying over to Queensland in a few weeks and I’ll be meeting my BBB (Best Blogging Buddy) Sue Loncaric and a few other Aussie bloggers – they are 7 hours flight away and yet I feel like I know them better than some of my local friends! The positivity that blogging has brought to my life is beyond anything I ever imagined. I thought I’d write a few posts that nobody would read (I wrote anonymously for the first 6 months). Instead, I’ve connected with SO many wonderful women all over the world and their encouragement and enthusiasm has enriched my life and made my 50’s really special. There is no fading into the wallpaper for this Midlifer! I have gained so much confidence from this blogging journey and my sense of who I am, and my self-esteem has grown enormously through writing and from reading the blogs of women who are doing this stage of life so well. There are lots of different Midlife blogs out there – fashion, fitness, food, thought-provoking, and funny – yet they all come back around to living our best lives right now and being proud of the women we’ve become. I am beyond grateful for what blogging has brought into my life. I often see other bloggers who did a mountain of research when they started blogging, they paid for their blog, paid for someone to put it together for them, paid for their images, paid for courses, paid for conferences, and paid for things I’ve never heard of. I’m the world’s most frugal blogger. I started my blog on Google’s Blogger platform for free and I’ve stayed there because I love it. It never crashes, it never glitches, it has all the resources I need to have an attractive and professional looking blog. As far as creating my blog goes, I started with no knowledge of blogging at all – I’d never read anything about it – just leapt in and started. I’ve figured out every single step through trial and error and from Googling what I needed to know. The only money I’ve spent is to buy my url (about $10 a year) and I bought a lovely background theme from Etsy for $5 which transformed the look of my blog. I’m so proud of all the things I’ve learned and what my blog has become over the years – you’re never too old to learn new tricks! I blog twice a week – I’ve blogged more frequently (every day in April when I’ve tackled the AtoZ Challenge!) and I’ve had many guest bloggers share their wisdom when I was running my Social Saturday series last year. I’m a fast thinker and writer so writing a post doesn’t take me all that long, then there’s the formatting, the images, and any little tweaks before it goes live. I tend to run a few weeks ahead of myself and schedule my posts to take the pressure off. From there I share my posts and any interesting quotes or thoughts on my Facebook page – usually about twice a day. I belong to a couple of link parties and host another one. I don’t have a huge subscriber list and I don’t send out newsletters and hate having my email inbox jammed with stuff so don’t tend to use that as a way to communicate as I find the whole social media thing very taxing on my time and I wish it was easier – I have thousands of FB and Pinterest followers but they don’t get to see what I share, it’s a real frustration for me. But not frustrating enough to take on another SM channel! Would you encourage other people to start blogging? Yes! I can’t begin to describe how much I enjoy blogging and the connections it brings. I’ve helped my daughter-in-law set up her blog Woman on the Way and I’ve mentored another friend who has stopped and started a blog. That being said, blogging seems to only appeal to a certain type of person – those who like to share their lives and thoughts, those who enjoy writing, those who like engaging with other bloggers and who are prepared to put in the background work necessary to grow their blog. Not everyone lasts the distance, in the four years I’ve been blogging I’ve seen many who jumped in with grand intentions and only to fall by the wayside when their blogs didn’t turn out to be the next best thing on Oprah’s watch list. I think you have to blog for the right reasons – and fame and fortune are highly unlikely outcomes. But, for those of us who love to write and who enjoy the interaction, it’s an amazing journey. Thanks so much to Esme for letting me be part of her interview series. I hope those who read this leave a comment so I can get to know you – let’s have a conversation!